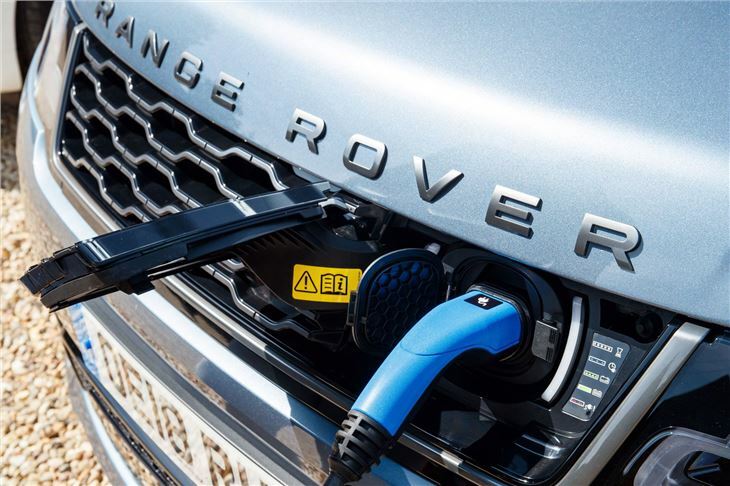 Land Rover’s jumped on the electrification bandwagon and launched plug-in hybrid versions of both its Range Rover and the Range Rover Sport. Both are badged the Si4 PHEV P400e and both combine a 2.0-litre four-cylinder petrol with an electric motor. 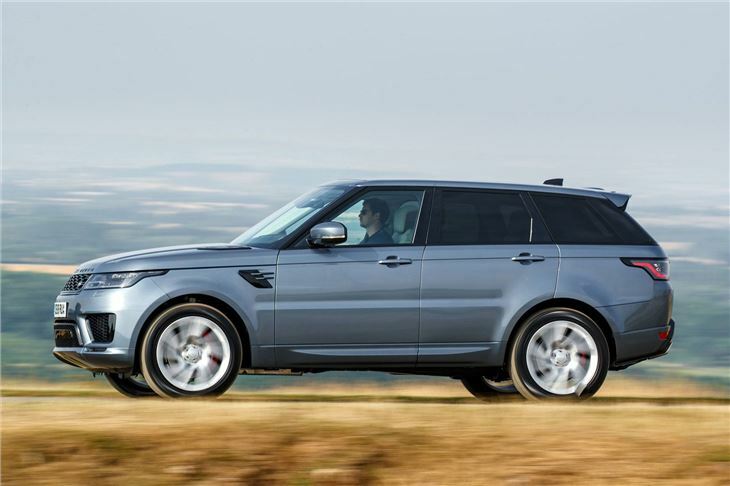 The result is a Range Rover Sport that will do 101mpg. Officially. Like all plug-in hybrids, it will only return anywhere near the official figure if you use it a certain way. When fully charged (doing so takes 2 hours and 45 minutes using a wall box), it can travel up to 31 miles on electric power alone. If you live 15 miles from work, for example, that means you could commute every day without spending a penny on fuel. Essentially it returns about a gazillion miles to a gallon of fuel because you don’t need to use any petrol. Once the weekend arrives, you’ve got the backup of a combustion engine to take the family further afield without having to endure regular 45-minute charges at beastly motorway service stations. 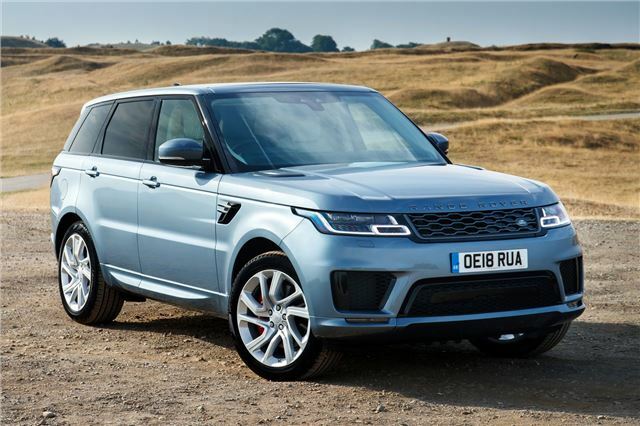 Bear in mind, however, once the battery’s flat and you’re hammering along the motorway, you’re effectively driving a large, petrol SUV with a load of heavy batteries acting as ballast. You’d be lucky to see 30mpg, nevermind 101mpg. 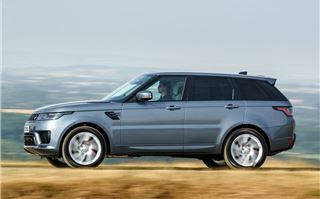 Now we’ve got the terms and conditions of life with a plug-in hybrid out of the way, how is the Range Rover Sport P400e? Well, it certainly lives up to the Sport badge. The ‘P400e’ nomenclature is a nod to its horsepower figure - it produces 404PS, in fact - and it can hit 62mph in 6.7 seconds. That’s not that much slower than the antisocial 5.0-litre V8 supercharged SVR, which covers the 0-62mph sprint in 4.5 seconds. 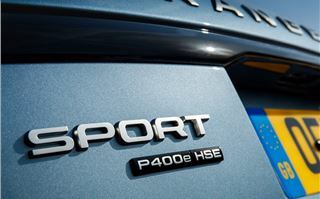 Ordinarily, the P400e is best left in Parallel Hybrid mode, which works the engine and electric motor at the same time. Floor it from a standstill and they work together to thrust you forwards (with a fair bit of noise, which may or may not be welcome). Alternatively, if you’re bimbling through town and the battery’s charged, the engine turns off entirely and allows you to enjoy silent EV running. 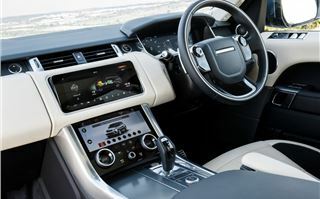 You can even choose to save the battery for moments like this by hitting the ‘save’ button in the infotainment system. It’s not all about performance. The PHEV is only 30kg more than the equivalent (admittedly fairly heavy) diesel, meaning it handles as well as the standard Sport. 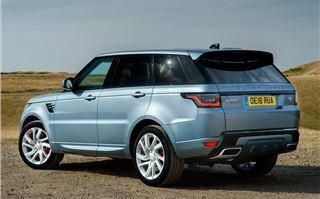 The steering's a trifle slow and it's not quite as keen to turn in as a Porsche Cayenne, but the Sport feels much smaller than it is (and a lot smaller than the ‘full fat’ Range Rover). It also rides surprisingly well, considering its weight and dynamic bent. Inside, there are few giveaways that this is a plug-in hybrid. 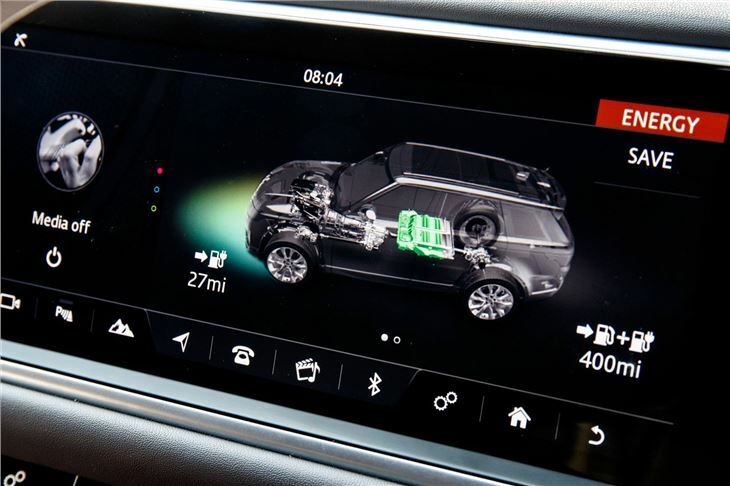 An energy metre replaces the digital rev counter, telling you whether you're sucking power from the battery or pumping it back in. 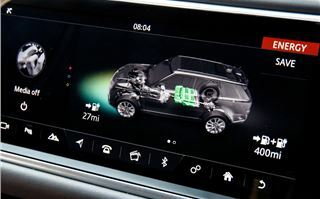 Trawl through the infotainment menus and you'll find a 'My EV' page that shows you what the hybrid system is doing and how much range is left. 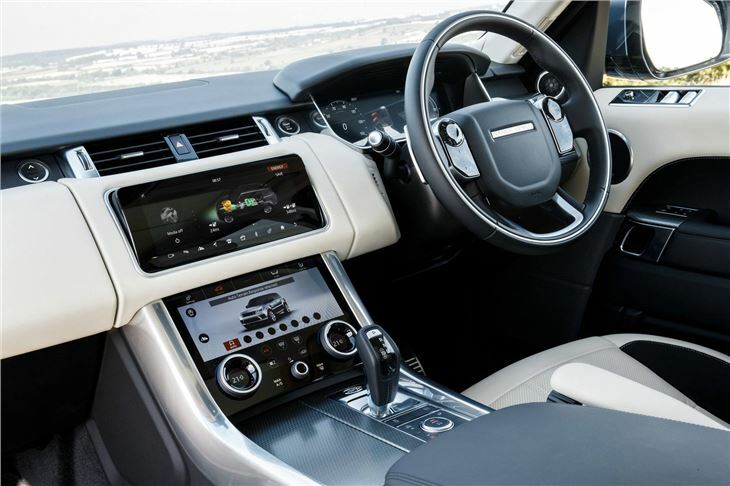 Interior space is fine, although it falls short of the standard Range Rover. 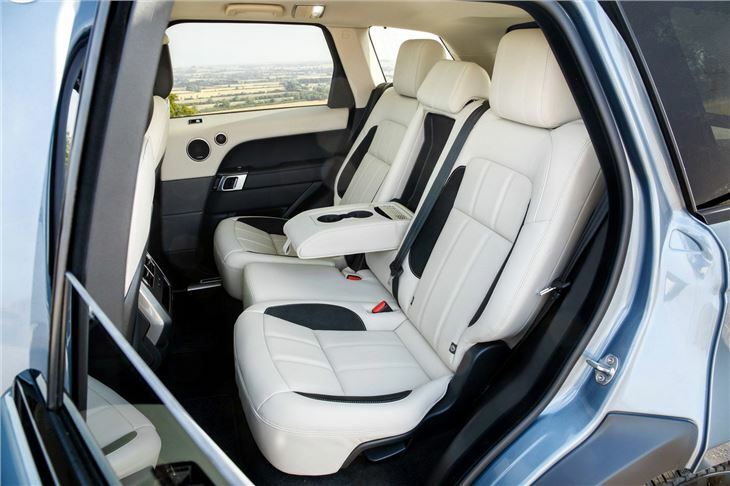 Front passengers will enjoy it - you get a good view and the seats are comfortable, but full-sized rear passengers might complain about a lack of legroom. Headroom’s acceptable for taller passengers, even with the fixed panoramic sunroof fitted to our test car. Access to the boot is also adequate, although slightly high - even when you’ve pressed the button to lower the suspension. 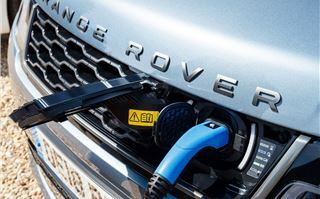 Will the Range Rover Sport PHEV be the car to convince us all to trade-in our dirty diesels? Probably not. Most people will still find a diesel suits their use, while the 5.0-litre supercharged V8 is more fun if money’s not an issue. 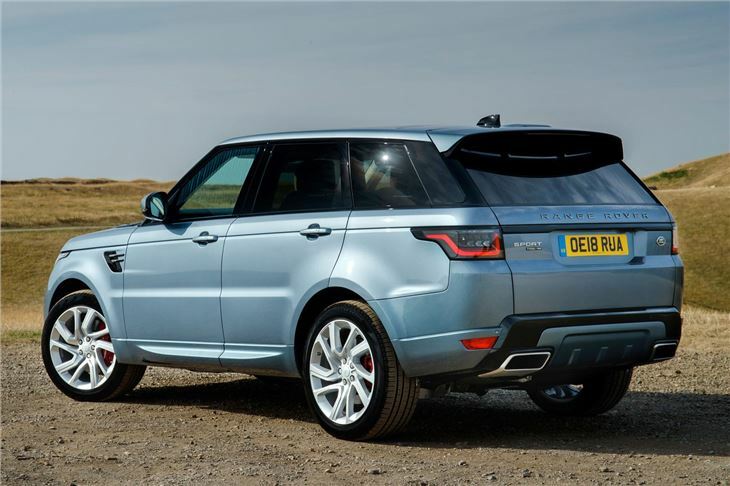 But Land Rover’s done an excellent job of offering an alternative powertrain in its Range Rover Sport. The engine kicks in and out relatively seamlessly, plus it’s surprisingly fun to drive. It's quick, and even sounds good - but don’t expect incredible fuel economy if you complete many long journeys and never bother charging it up. 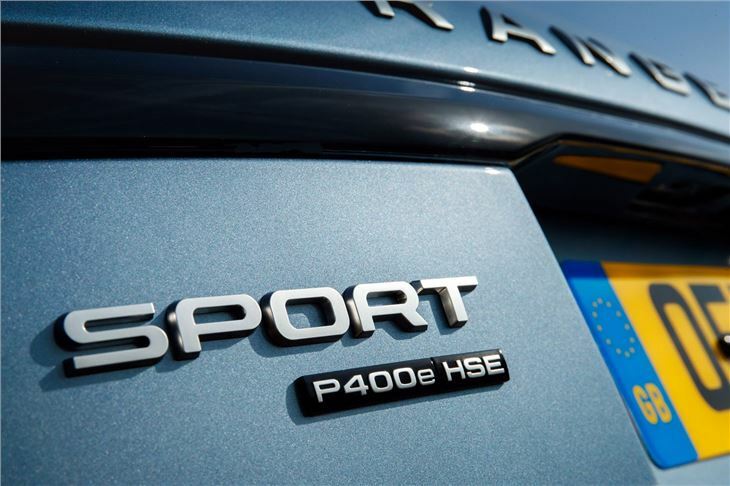 The Range Rover Sport PHEV P400e is on sale now.